Rough cut lumber is good to have if you want a piece of furniture or structure to have an old-fashioned or rustic look. It is lumber that has been cut from a tree, but has not been sanded or planed; it is often used in building fences or outdoor furniture. Like any other type of wood that is exposed to moisture, it can grow mildew and mold. You can remedy this with a few common household supplies. Rough wood gives things a rustic, old-fashioned look. Mix 3/4 cup of the bleach with one gallon of water in one of the buckets. Fill the other bucket with clean, plain water. Put on the gloves and moisten one of the sponges with the bleach solution. 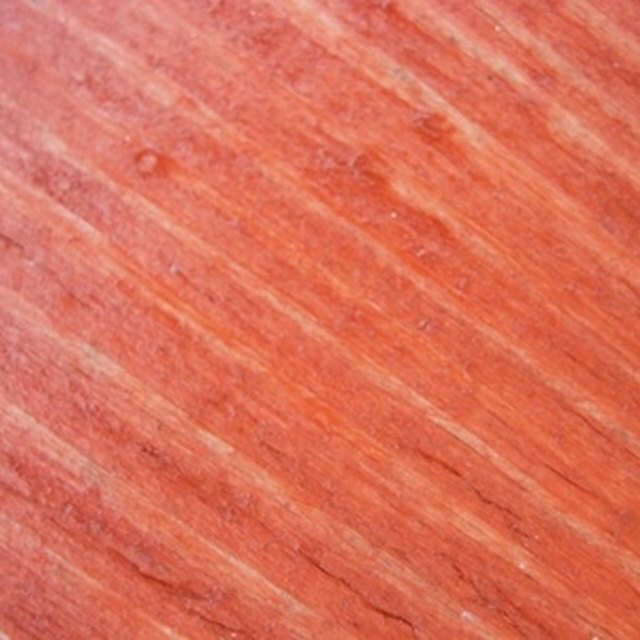 Use the sponge to wipe the [mildew](https://homesteady.com/facts-5073620-mildew.html) off of the wood by scrubbing it gently. Repeat this several times until the mildew is gone. Do not let water sit on the wood for too long, as it will saturate the wood and possibly warp it. Rinse the wood with a sponge soaked in the clean, plain water once all the mildew stains are gone. Remove all of the bleach residue; if any is left it can cause the mold to grow again. Allow the wood to naturally dry. Give the rough cut wood plenty of ventilation so moisture cannot accumulate. If moisture accumulates, even after the wood is clean, the mold can possibly grow back. Using bleach can dry the wood as well as lighten it. If this is a concern, such as with furniture, you may substitute a mild detergent for the chlorine bleach. Sherwin-Williams: What types of cleaners can I use to remove mildew?